Join your friends from Chicago RIMS in Boston! We hope you'll join us for our Chicago RIMS Happy Hour during the RIMS2019 Annual Conference and Exhibition, sponsored by Frasco Investigative Services, Access On Time and LEF, Ltd. Intellectual property (IP) is one of the most important intangible asset classes driving the modern global economy. 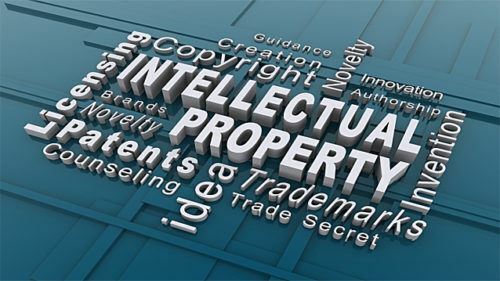 Intellectual property includes patents, trademarks, copyrights, trade secrets, and know how, all of which factor ever more prominently in the above companies’ success and other organizations’ ability to succeed. The global expansion of IP has also increased the rise in the number of lawsuits filed claiming infringement of intellectual property rights. Despite the significant risk these lawsuits present, many companies have struggled to properly manage this risk, potentially resulting in loss of revenue, business disruption or even bankruptcy, and damage to brand and reputation. The potential costs, disruption of revenue streams and damage to brand make intellectual property one of the greatest areas of risk a company faces in the current environment. With this broad scope of risk, companies are recommended to institute best practice processes and governance to help ensure that they are sufficiently protected. · What sorts of risks does IP involve of which a risk manager may not be aware? The panelists will share unique perspectives, best practices, and innovative strategies to help organizations ensure that their IP development plan aligns with their organization’s overall goals while protecting against infringement claims and theft. This meeting is open to RIMS Members, Associates and Non-Members. Non-members are required to pay a user pay fee of $50.00 to attend this event. Payment is due upon registration on this website. All fees are non-refundable. If you need to cancel, please do so on or before Friday, May 10th, to avoid a cancellation penalty of $50 per person. Please email Maggie at mdivarco@comcast.net. If you do not show up for this event after registering, you will be billed a no show fee of $50.00. Self-parking in neighboring parking garage is available, as well as valet parking. Parking is at your own expense. The Chicago RIMS Chapter is pleased to invite you to its 2019 Golf Outing, which will be held once again at the beautiful White Eagle Country Club in Naperville on Monday, July 8th. All golf outing proceeds go towards the sponsorship of college scholarships and educational grants for students majoring in Insurance and Risk Management programs at Midwestern colleges. Your support to help recruit young leaders into the insurance industry is a win for all! Sign up today! Support of Chicago RIMS may be deductible as a business expense. If you are playing golf, please register on this website no later than June 28, 2019. Space is limited and registration will be available on a first-come, first-served basis. We have numerous options available to support this golf outing by sponsorship. Even if you're not playing golf (and if you are playing golf), you can sign up for an item to sponsor on this website. And new this year - Sponsor a Risk Manager to play in your foursome! To sign up for any of our sponsorship opportunities just click on the REGISTER button on this page. Door Prize - Everyone is a winner if you stay for dinner! Preferred form of payment is by credit card on this website. Payments are due upon registration and are non-refundable. Whether you pay by credit card or by check, you MUST REGISTER on this website to golf or sponsor an event. You may skip the payment section by leaving the boxes blank. The registration system will save your form awaiting payment. You are not confirmed for the outing until we receive your check or other payment. Do not delay; we will sell out. Make checks payable to Chicago RIMS Chapter and mail to: Maggie Divarco, Chicago RIMS, 318 Half Day Road, Buffalo Grove, Illinois 60089. This event has sold out every year, so please sign up early to confirm your slot. Due to expected heavy demand, RIMS Members will take priority if space is short. Sponsors – if you have golfers, you must register them also. The Chicago and Mid-Illinois RIMS Chapters are proud to host the 5th Annual Chicagoland Risk Forum! This two-day conference promises to be an outstanding educational and networking experience. Hear from dynamic industry leaders on hot topics facing risk managers. Two full days of compelling speakers, with many excellent opportunities to connect with industry professionals. Once again, this year's CRF will be held at the Chicago Marriott Downtown Mag Mile Hotel. We are working hard to make your 2019 event the best ever! A room block at the Marriott Mag Mile is available Sunday, September 22 and Monday, September 23 for $294 per night (plus applicable taxes). Reservations may be made directly with the Marriott by calling 1-877-303-0104. Identify the group as the RIMS Chicagoland Risk Forum. Marriott Rewards Members earn DOUBLE POINTS! Reservations must be made no later than September 1, 2019. * All other refers to vendors, servicing companies or other entities or organizations that provide support to the Risk Management community. This could include brokers, lawyers, RMIS providers, insurance companies (underwriters, claims, legal, etc. ), risk solution providers, claims service providers (surveillance, estimatics, TPAs, etc. ), etc.